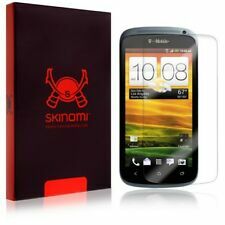 The HTC One S Skinomi Screen Protector is a modern, high-tech protective solution for your HTC One S's sensitive screen. This revolutionary screen protector is nearly scratch-proof and indestructible, making it virtually impossible to scratch and features self-healing properties. Toughened glass has high transparency, and color never changes. for HTC One M10, HTC 10 Lifestyle. Tempered Glass Screen Protector. Strengthen the intensity of the buffer glass protective film. Ultra thin, Tempered Glass, 0.33mm, 9H hardness, durable to use. 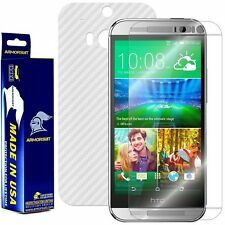 The HTC One X Skinomi Screen Protector is a modern, high-tech protective solution for your HTC One X's sensitive screen. This revolutionary screen protector is nearly scratch-proof and indestructible, making it virtually impossible to scratch and features self-healing properties. 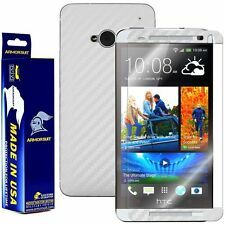 ArmorSuit MilitaryShield HTC One E8 Screen Protector + White Carbon Fiber Skin! 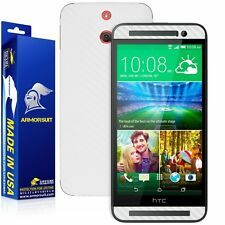 ArmorSuit MilitaryShield HTC One M8 Screen Protector + White Carbon Fiber Skin! ArmorSuit MilitaryShield HTC One M7 Screen + White Carbon Fiber Skin! Brand New! 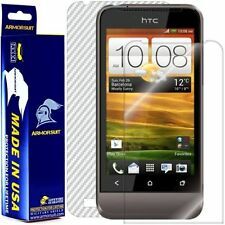 ArmorSuit MilitaryShield HTC One S Screen Protector + White Carbon Fiber Skin! This can take considerably longer to process and is not an error on our part.